Dior Eye Reviver Illuminating Neutrals Eyeshadow Palettes are the typical neutral palettes - 5 neutral eyeshadows going from pale mattes to darker satin-textured eyeshadows and an eyeliner - the overall effect meant to brighten and add radiance to the eyes. The Dior Nordy Girl Palette is the new, exclusive edition (Nordstrom Beauty Exclusive) and features a gradation of rosy eyeshadows. It includes four shades of eyeshadows with a base/liner that looks brown on my skin. 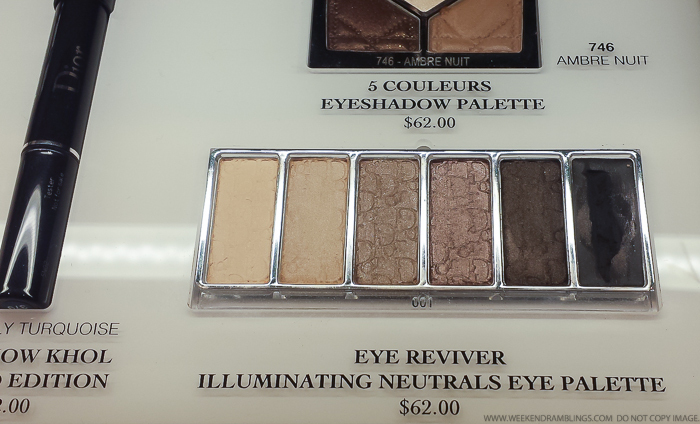 Used together or on their own, these shades are meant to smooth, widen and define the eyes. The darkest eyeshadow appears to have a slight purple undertone to it depending on the light (and perhaps skintone). 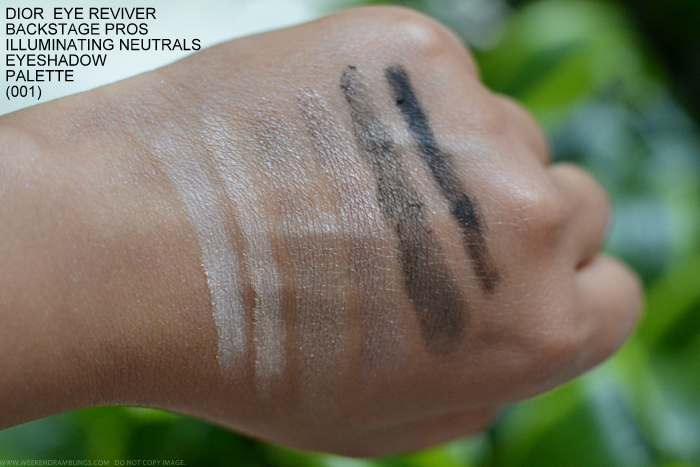 Scroll on for more photos, swatches, and a comparison with the older Dior Eye Reviver Eyeshadow Palette (001). The original/previously launched Dior Eye Reviver Illuminating Palette (001) is very similar to the Nordy Girl palette. The Nordy Girl palette has a brownish liner while the original has a black liner. Here's a look at photos and swatches. 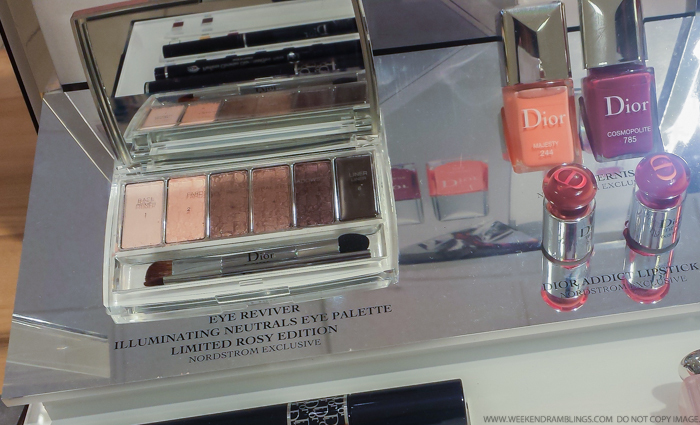 For me, neither of these Dior Eye Reviver Illuminating Neutrals Eyeshadow Palettes are must-haves. 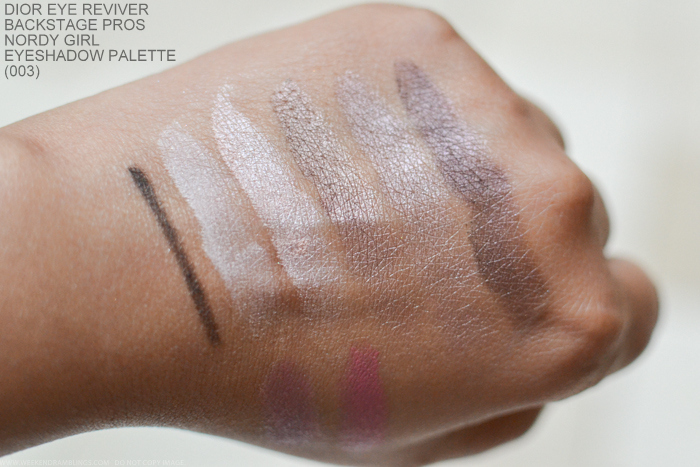 I think it's quite easy to find dupes of the colors, both among drugstore brands as well as luxury makeup brands, and the eyeshadows are all very simple basic shades. That said, they are basic neutral eyeshadow palettes with safe colors to play around with, especially if you are looking for work-appropriate eyeshadow palettes and/or want a subtle makeup look. 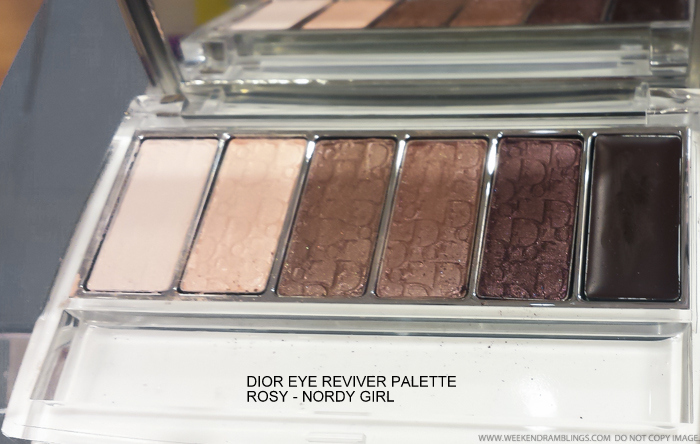 Between the two Dior Eye Reviver eyeshadow palettes, if I had to pick, I would go with the Nordy Girl palette - the eyeshadows seemed consistently smooth, and I liked the slight purple-plum undertone that shows up on my darker skin tone.